Some of our clients sometimes ask about how to create URL Rewrite on their site. Previously, we have written about how to redirect HTTP to HTTPS in IIS. In this tutorial, we will advise how to create multiple redirection with a URL Rewrite Map. Now there’s an easier solution, and one that offers better performance. Starting with IIS 7 one can implement different kinds of url rewriting and redirecting with ease by using the URL Rewrite Module. 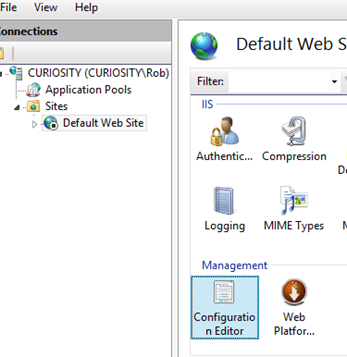 The various rules can be configured using the IIS 7 Manager GUI or by directly editing the web.config. To open the URL Rewrite Module simply double click the URL Rewrite icon on your site properties as shown below. From there you will be able to maintain your existing rules or add new ones as seen in this picture. This is a pretty easy way to create server-side rules for rewriting and redirecting, but what happens when you have 30 or 40 legacy URLs that need to be redirected to new pages? Do you have to enter each one manually? Of course not. The solution to that is to use a URL Rewrite Map. By using a URL Rewrite Map it has never been easier to create and maintain multiple 301 redirects for different pages on your web site. The rewrite rules are stored in the <system.webServer> section of your web.config so you can quickly make changes as needed. In the example above I’m performing a 301 redirect on the test.aspx file to test2.aspx file. There’s also a 301 redirect for the aboutus.aspx file to folder called /about, however, in this case it’s important to note that the /about folder will also need a default page or else a 404 error will result. There is no real limit on how many URLs can be configured for redirecting with the URL Rewrite Map. You should perform regular search engine analysis to see when the new URLs have been picked up. Once the old URL is no longer indexed and traffic has dropped off you could remove it from your map. Windows Server 2012 R2 comes with IIS 8.5, and in this release an issue has been found in relation to the Dynamic Compression module. 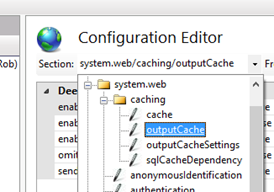 The module sets the “Vary” header which is used to specify caching properties that the browser uses to determine whether the response should be cached or not. In IIS 8.0 and earlier, the Dynamic Compression module was overwriting the Vary header with the value “Accept-Encoding”, and as it happens this is the correct value to ensure that dynamic content is correctly cached – but – according to IIS it should be appending this value to the existing value and not overwriting it. As it happens, this was supposed to be fixed in IIS 8.5 but the fix appears to be broken. In IIS 8.5 (which ships with Windows Server 2012 R2) the Vary header is being set to “*” and the “Accept-Encoding” from the Dynamic Compression module is not appended. The result of this is that no dynamic content is being cached by the browser. Setting this value results in the Vary header being returned with a value of “Accept-Encoding” and the browser then caches the dynamic content. IIS 8 Hosting - HostForLIFE.eu :: How to Install SSL Certificate in IIS 8? In this tutorial, I will show you how to install SSL certificate in IIS 8.0. To communicate securely over the web requires the use of encryption on the messages passed back and forth. Encryption on the web is accomplised through the use of Transport Layer Security (TLS). 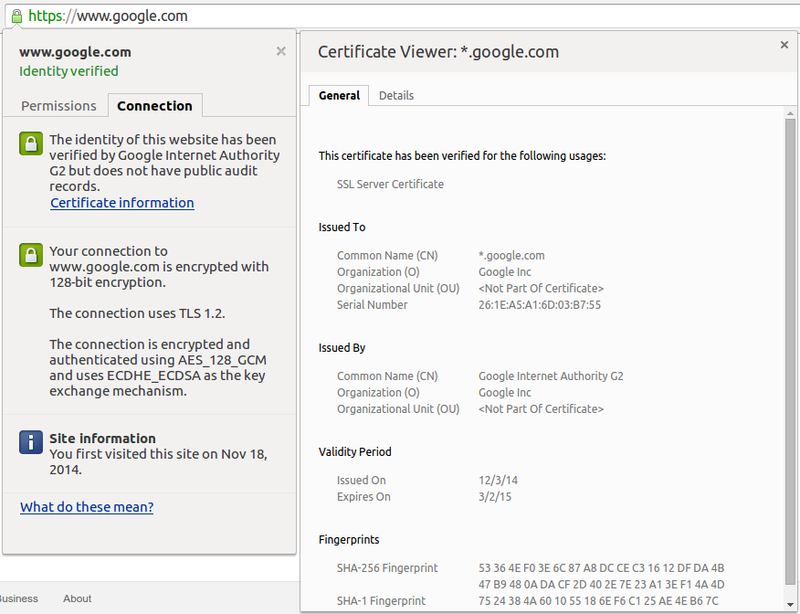 Http traffic layered over SSL/TLS is called Https. It would be all too easy to venture down the rabbit hole and explain in great detail how TLS establishes a secure connection, but the crypto minutia is likely a bit out of scope for the purposes of this discussion. However, a basic understanding of the mechanisms used by TLS to secure the communication channel will make understanding the use of SSL certificates much easier. You'll transmit the CSR in one form or another to the CA you are getting your certificate from, and after they've performed whatever level of due diligence they'll send you your SSL certificate. Once you have the certificate, you'll need to install it on the server hosting your site. For .NET based web applications, that likely means IIS or Azure. 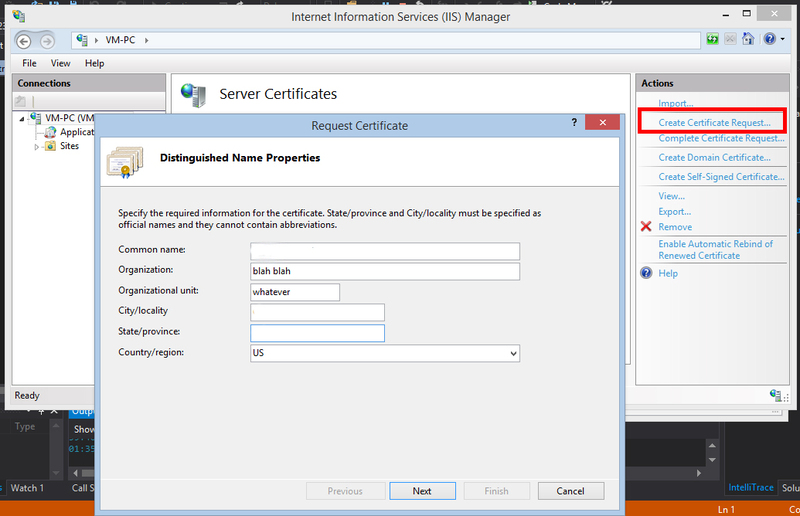 In IIS Manager, under Server Certificates, there is an option for "Complete Certificate Request". Here you'll browse to the *.cer file that contains your certificate, add a friendly name to make management easier it doesn't change anything in the certificate and add the certificate to the Personal certificate store. This installs the certificate to the server. To use it in your site, you have to bind it. Navigate to the site settings in IIS, go to bindings, and add a binding for https using port 443 and the created certificate. 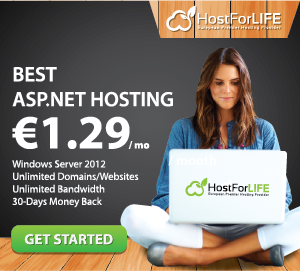 IIS 8.5 Hosting - HostForLIFE.eu :: How to Install Web Server in Windows 8? Today I will discuss about how to install IIS on Windows 8. IIS or Internet Information Services or Internet Information Server is an HTTP web server that is used in Windows server operating system, from Windows NT 4.0 Server, Windows 2000 Server or Windows Server 2003. This service is an integrated service in Windows 2000 Server, Windows Server 2003 or as an add-on in Windows NT 4.0. This service serves as a support TCP / IP protocol that runs in the application layer (application layer). IIS also be the foundation of the Internet and Intranet Microsoft platform, which includes Microsoft Site Server, Microsoft Commercial Internet System and Microsoft BackOffice products more. Web Server can be run on Windows 8 and Windows Server 2012 and earlier versions of Windows. The relationship between the Web Server and Internet Browser is a combination or existing computer networks around the world. Once physically connected, Protocol TCP / IP (networking protocol) that allows all computers can communicate with each other reply. By the time the browser requests a web page of data to the server the instruction data requests by the browser in containers in which a TCP transport protocol and sent to the reply address in this case is the next protocol is Hyper Text Transfer Protocol (HTTP). HTTP is the protocol in use on the World Wide Web (WWW) between computers that are connected in the network in the world. To recognize this protocol clearly is very easy once where every time you type http: // ... you have to use it, and bring you into the world of internet. Data that in passing from the browser to the Web server called the HTTP request which asks the web page and then the web server for data existing HTML and packed in TCP protocol and sent back to the browser. Data sent from the server to the browser called the HTTP response. If the data requested by a browser that can not be found by the Web server will meninbulkan error that often you see on the web page that is Error: 404 Page Not Found. It gives a taste of a process that is tridimensional, meaning that Internet users can read from one document to another simply by clicking a few sections of pages of documents (web) it. The process that starts from the demand webclient (browser), web server is received, processed, and process the results returned by a web server to a web client again carried out in a transparent manner. Each person can easily find out what happened to each process. In broad outline only web server to process all the input it received from its clients web. How to Install Web Server (IIS) in Windows 8? Press the Windows key + W (Windows key and the letter w on a keyboard), then type features, and then click Turn Windows features on or off. Then click on the Internet Information Service (see picture below), and then click OK.
After the installation process Internet Information Services will run, wait for it to finish. After the installation of Internet Information Service is complete, press the Windows key and then type IIS in the search box, and then click Internet Information Services (IIS) Manager, as shown below. In Internet Information Services (IIS) Manager, click the arrow on the name of your computer> sites> then click Default Web Site, as shown below (4a). Then click the Basic Settings in the action pane to the right (4b). Here we will try to override the default physical path where the data of our website later. In this example I will create a folder called "mywebsite" on drive C :, then his path to C:\mywebsite, as in the image below. I click the "..." as in the picture, and navigate his path to the C:\mywebsite, and then click OK.
To perform the test helloworld create a file called index.htm in the folder C:\mywebsite. Then type localhost in your browser. IIS 8.0 Hosting UK - HostForLIFE.eu :: How to Fix HTTP Error 500.21 in IIS? HTTP Error 500.21 – Internal Server Error Handler “ExtensionlessUrlHandler-Integrated-4.0″ has a bad module “ManagedPipelineHandler” in its module list. After, the repair ran for a few minutes, restart IIS. 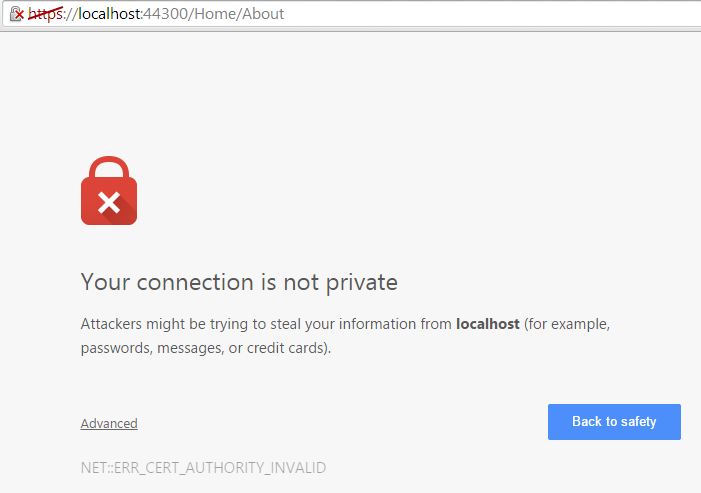 IIS 8.5 Hosting - HostForLIFE.eu :: How to Fix: “HTTP Error 401.3 – Unauthorized” Error in IIS ? You do not have permission to view this directory or page because of the access control list (ACL) configuration or encryption settings for this resource on the Web server. Judging from the error the permissions on the folder was incorrect. And a quick peek at the properties confirmed this. Admittedly, I don’t have much experience with IIS 7+ (IIS 6 & 6.5 that’s a different story). So when I tried to add the correct user account to the I couldn’t identify the correct user account. Honestly, I was actually looking for IUSR_MachineName . As it turns out IUSR_MachineName was removed in IIS 7 and replaced with IUSR. So adding the IUSR user account to the folder and everything worked. Yes, it was a simple fix but it can be an annoying one if you don’t know what to look for. If you are reading this post you may face Http Error 500.19 error in your IIS 8.5. And in this article I’ll going to show you what I am doing to resolve this problem. I had simple webapi built by Visual Studio 2013, it work good when I run it from Visual Studio 13 but when I copy the project in IIS it give me this error. HTTP Error 500.19 - Internal Server Error The requested page cannot be accessed because the related configuration data for the page is invalid. Config Error This configuration section cannot be used at this path. This happens when the section is locked at a parent level. Locking is either by default (overrideModeDefault="Deny"), or set explicitly by a location tag with overrideMode="Deny" or the legacy allowOverride="false". In the web server section choose: Web Server (all), Management Tools (IIS Management Console and Management Service), Windows Authentication - if you are using any of it. 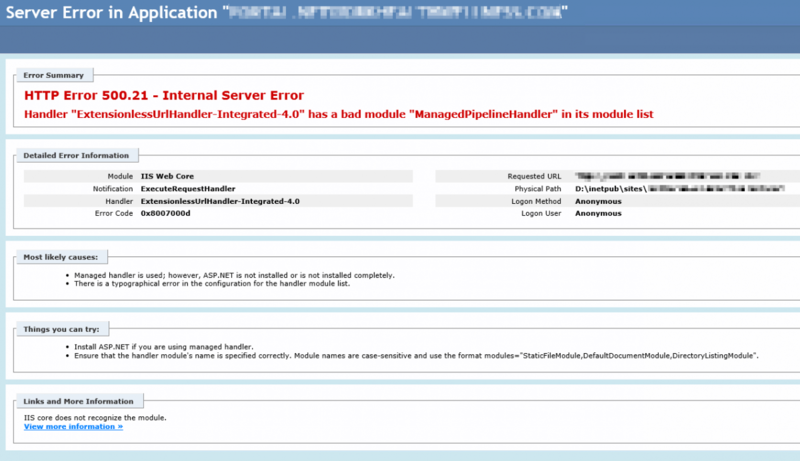 Those is step by step how to solve HTTP Error 500.19 - Internal Server Error IIS.